My Journey to Fit: FMM - What's the Speed Limit? FMM - What's the Speed Limit? How cute is this cake? 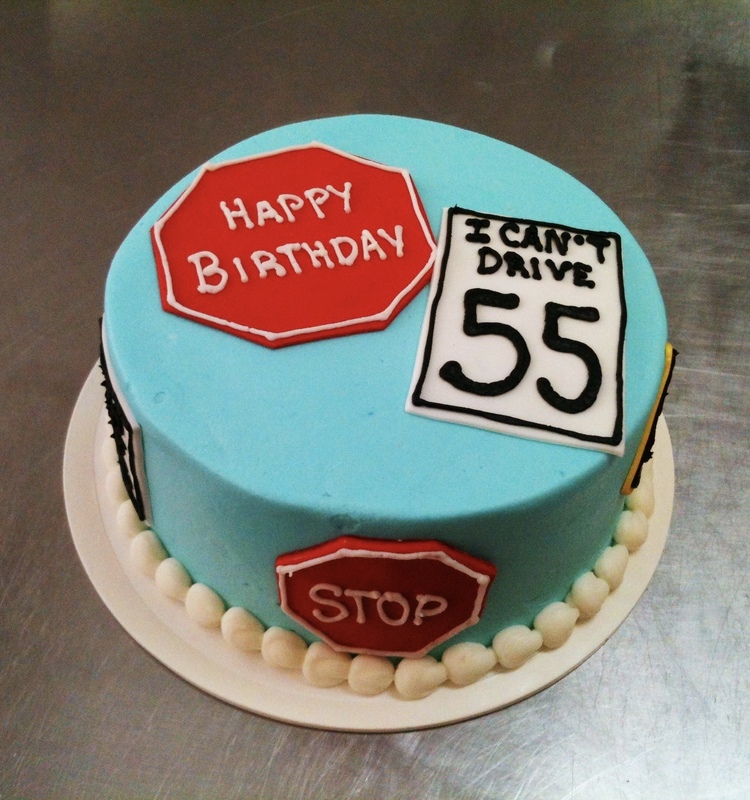 I found the image online - it's from Amanda's Caketastic Creations in Little Rock, Arkansas. Think she delivers? Tomorrow is my Sammy Hagar birthday - get it? I've been wishing all of my high school friends "Happy Sammy Hagar Birthday" on their timelines when it's their birthday this year - the BHS class of '81 is turning 55 this year, woohoo! WE CAN'T DRIVE 55! There's the Sammy Hagar reference for you, and if you're familiar with the song, you're welcome for the earworm. 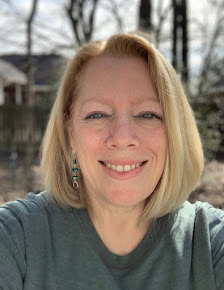 Even though I'm not officially 55, I've already accepted my first 55+ discount, courtesy of the checkout clerk at Kohl's. I believe she only asked me if I qualified because Jeff was standing next to me, and with his gray hair, he looks like he qualifies. I saved five bucks on my purchase, which I'll happily take. The funny thing is that I got the old person discount for buying a pair of shorts that I plan on wearing after my long runs on Saturdays, which reinforces my belief of age being just a number - it's what you do that matters. So speaking of my age, remember when I was in my forties and started that ridiculous tradition of running my age on my birthday each year? It was a lot easier when it was 4.7 or 4.8 miles, especially because my birthday is in June, in Texas, and it's HOT. For tomorrow I've mapped out a route that makes the number 5, and it's possible that I will run 5.5 miles...and it's possible that I will not go the distance. We will see. Morning temps will be in the mid-70s, with humidity in the mid-90s, which makes for a very challenging run. Come back on Wednesday to see how far I managed to run! Happy birthday, Shelley!!!!! I started running my age on my birthday because of you a few years back - I think it's such a fun idea! My birthday is hit or miss on weather, but I know at least once I ran minutes instead of distance because that's all I could do. Your 5 route sounds cool! I worked at Kohl's in college and we were told to not ask people if they qualified for the senior discount because it could offend! I always got a chuckle out of the people who were obviously in their 70's and 80's but insisted I check their IDs for the discount. Happy Birthday!!! I didn't know Kohl's gave an over 55 discount! Thank you for that. Last year on my 55th BD I ran 5.5 miles. Enjoy! Happy Birthday Shelley! I hope your have great plans besides running to celebrate your birthday! Double nickels will be mine next year its hard to believe plus in a couple of years I will have been out of high school 40 years oh my. Have a great weekend! From hot, swampy, soggy, Orlando. Thanks Susan. And I hope your A/C is working full-strength now! Not a bad idea...I could accomplish that and not die of heat exhaustion! Happy birthday. I'm class of '81 also. Happy birthday!!! Run or no run, I hope you have an excellent day!! I love it! And you are right, no one is the boss of me. I think it'll be a game day decision. HAPPY BIRTHDAY, SHELLEY! You're aging backwards so it's all good. Run how old you feel, so how about 2.9? Thanks! And funny thing, one lap of my route IS 2.9! I might just do that, although it'd be a long walk back. Have a happy birthday Shelley! I remember when you turned 50 and got a drum set. Do you still bang on it? If I continue my tradition of biking my years, I'm going to have to bike 50 miles next week. Eeeps. Age is SUCH a number! I was hanging with a second cousin this weekend who mentioned she's in her 60s and it kind of boggled my mind cause I never think about that!